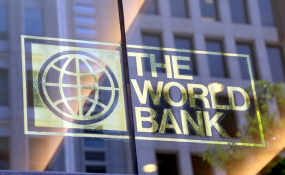 Ousmane Diagana, World Bank Group's Vice President, Human Resources, said in a statement that Mr Mohammed passed away on Friday at Georgetown Hospital in Washington, DC. "Before being appointed Executive Director in October 2018, Mohammed had been serving as the Alternate Executive Director of his constituency since January of 2017 when he rejoined the Board. "He had previously represented his home country of Nigeria as both an Adviser and Senior Adviser between 2001 and 2006," Mr Diagana said. He was also the co-author of the current Board capacity building programme - the 'Voice Secondment Program', which brings officials of developing member countries to work in the World Bank in Washington for six months to acquire skills needed in their work with the Bank. "Mohammed's colleagues and staff members warmly remember him as someone who possessed a humble, kind, generous, spiritual and deeply compassionate disposition. "This was beautifully balanced by his extensive knowledge of West African perspectives and history, and his thorough understanding of the issues most pressing to African countries. "He is survived by his wife, Inno and their children. Our deepest sympathy is extended to them, as well as to Haruna's extended family and friends," he said. Nigeria's former Minister of Finance, Ngozi Okonjo-Iweala, in a tribute, described Mohammed as "an effective Executive Director at the Board of the World Bank".